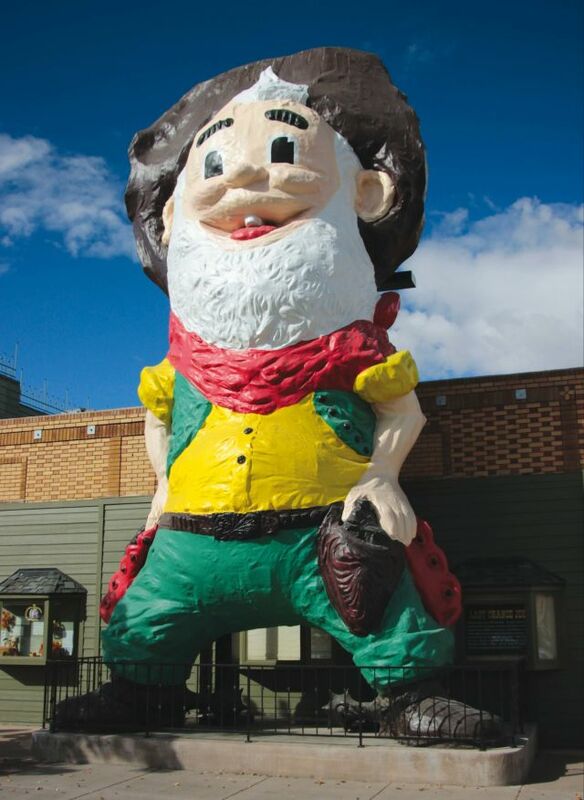 Just five years ago, Last Chance Joe—a 32-foot-tall gold-digging tribute to Reno’s prospecting past—lay dismantled and defeated in a parking lot outside the Nugget Casino, his former perch in Sparks, the town that’s essentially East Reno. His papier-mâché smile was split, his golden spurs rusted, his green trousers dulled to a drab blue. 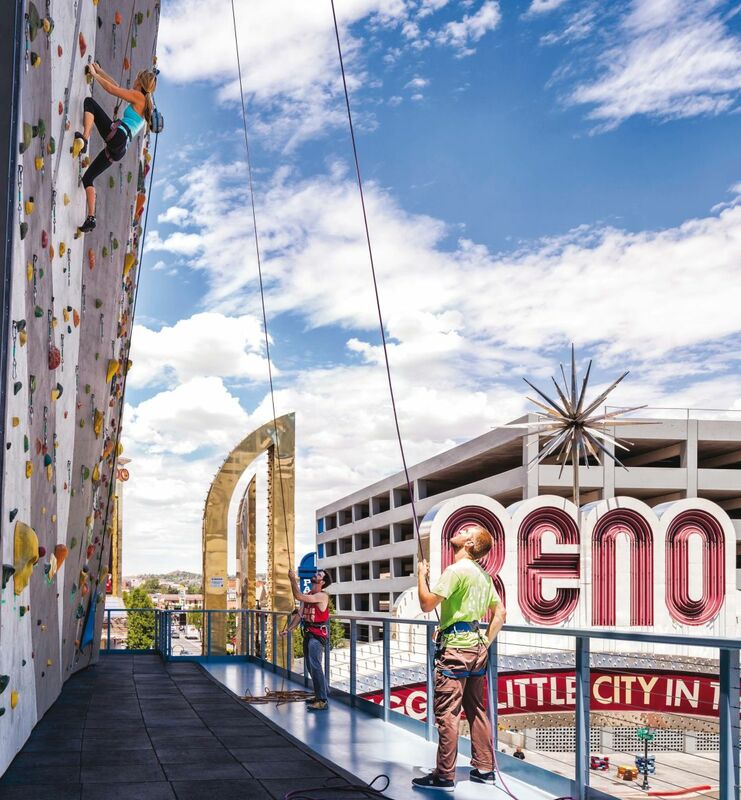 For 56 years, he’d stood sentry as Reno bet big, and often lost, on larger-than-life attractions (like the $47.5 million lofted into its bunker-like bowling stadium, a.k.a. the “Taj Mahal of Tenpins”). Old Joe, it seemed, had been dealt his final hand. But Joe, like Reno, is something of a wild card. Today, the bowlegged miner is gussied up and grinning again at the Sparks Heritage Museum. Meanwhile, the city he personifies has pulled itself up by its own bootstraps, still sorta gap-toothed and goofy, but also lassoing new prosperity astride an electric hobbyhorse. Yes, Reno’s still a base camp for seedy casinos and literal gravy train buffets. But it’s also changing, and fast, powered by Tesla’s Gigafactory—which plans to amp up its workforce to 10,000 by 2020—and its proximity to Burning Man. (Reno’s about 100 miles south of the annual summer festival’s epicenter in the Black Rock Desert.) Then there’s Reno’s odd Portland-of-yore kick, with outposts of Pine State and Sizzle Pie opening here. (Direct flights from PDX are under two hours.) The result is a curious mix of western B-roll and tech hub, fueled by young professionals and feral artists. Call it a modern jackpot. Adjacent to Reno’s arched, neon “Biggest Little City in the World” sign, the five-year-old Whitney Peak Hotel (rooms from $149/night) shreds misconceptions about Nevada kitsch. Once the luck-of-the-Irish-themed Fitzgerald’s Casino, the Whitney is now nonsmoking, nongaming, and home to a concert hall and the world’s largest climbing wall: 164 vertical feet of bouldering routes soaring over the strip below. Just past the station, where city buses hurtle into a backdrop of glitz, find seven-course suppers at old Reno prices at Louis’ Basque Corner. Here, family-style meals from a bygone era (sweetbreads, leg of lamb) pair with Louis’s Picon Punch: a whirlpool of bitter orange and brandy. Or walk up the block to The Depot, Reno’s first brewery and distillery, housed in old railway headquarters. 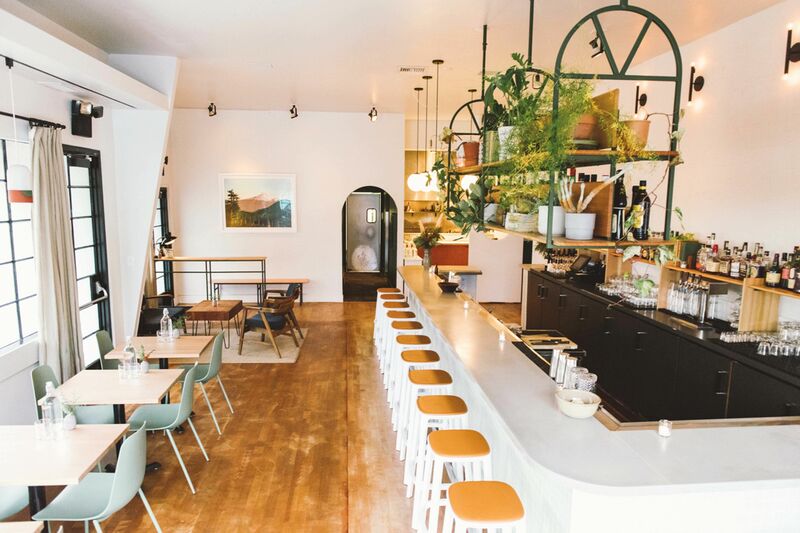 Reno’s Basque connection echoes here as well, with flights of orangey house Picon liqueur jockeying up to corn whiskey and bourbon-barrel-aged gin. 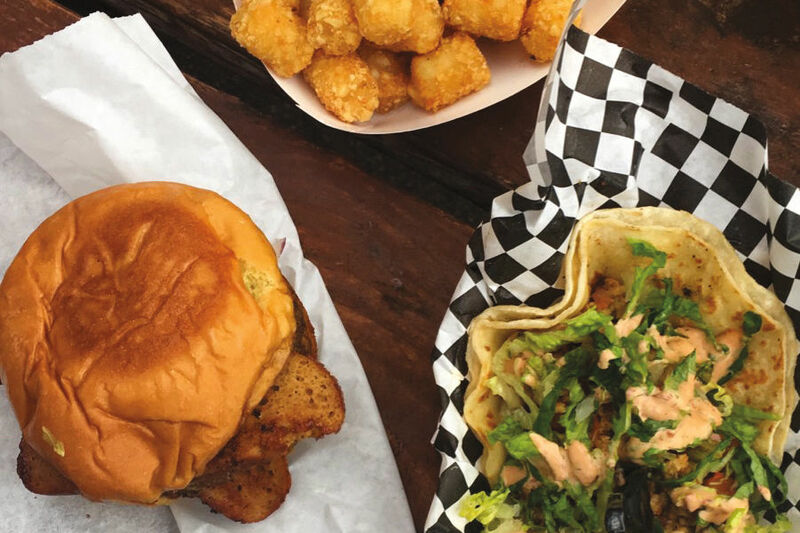 Cap your night at The Eddy, a riverside food cart/boxcar pod with bars and bocce. You’ll write home about the tacos at La Barca. But it’s Sparks, four miles east of midtown, that doubles down on Reno weird. Take the Generator, an open-to-the-public artists space where you might, say, catch a guy carving a hyperrealist cityscape into a giant pumpkin while welders ponder how to ship a dismembered Burning Man robot to Philly. Then there’s Scheels, the Nevada location of a wacky Fargo-based sporting goods store that somehow contains a shooting gallery, a Ferris wheel, a taxidermy diorama, and a beguiling wax exhibit with some of America’s early presidents. Gawk while stocking up on windbreakers for your day trip to Tahoe. Odds are good you’ll find a score. 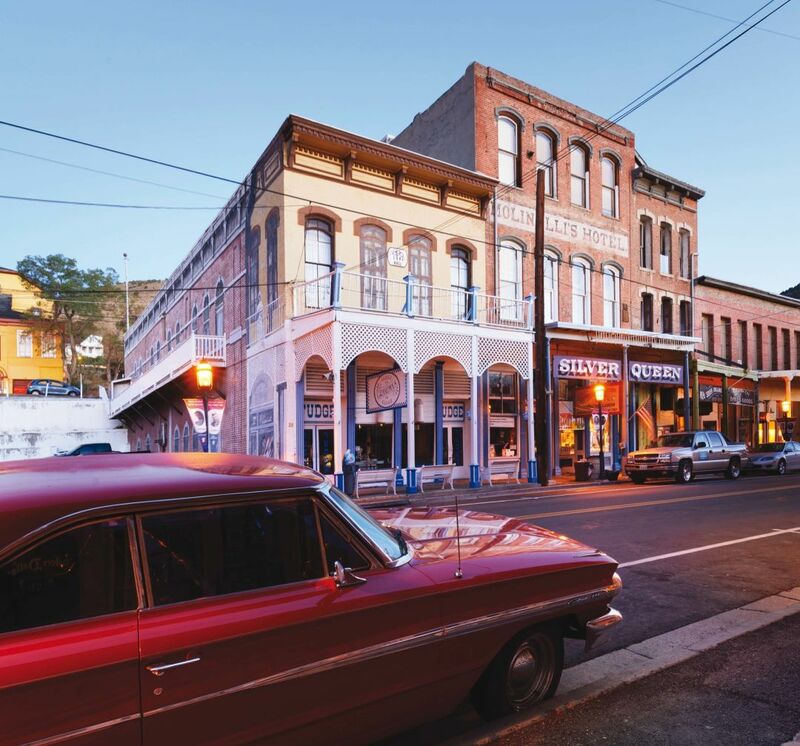 From the outskirts of town, climb 13 miles up Geiger Pass (watch for abandoned WPA-era brick kilns) to Virginia City—a gold mining town where Samuel Clemens, famously, became Mark Twain. Walk stuck-in-time wooden walkways as wild horses wander through town, then absorb city and valley views from circa-1859 Comstock Cemetery. Stay at the Silver Queen Hotel (rooms from $55/night). Above the bar of this no-frills saloon/wedding chapel is a portrait of the hotel’s tragic namesake, bedazzled by 3,261 silver dollars. 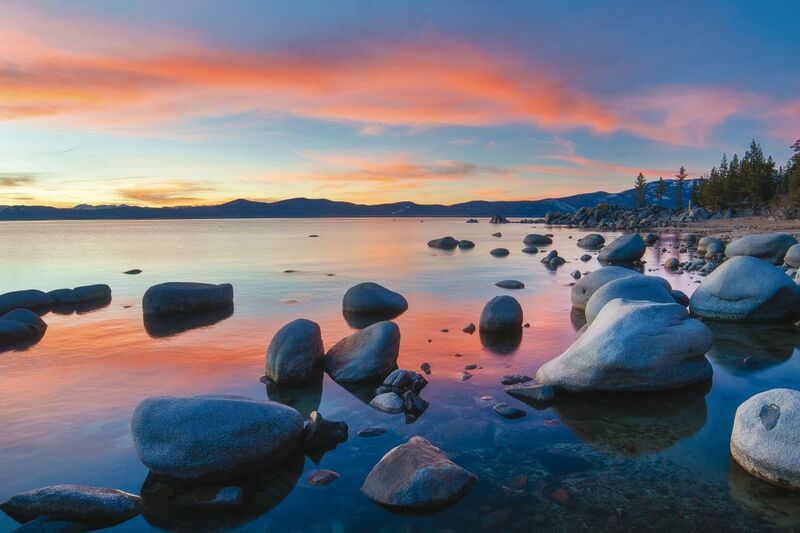 An hour southwest of Reno, Tahoe City’s alpine lake terrain is particularly serene in winter. 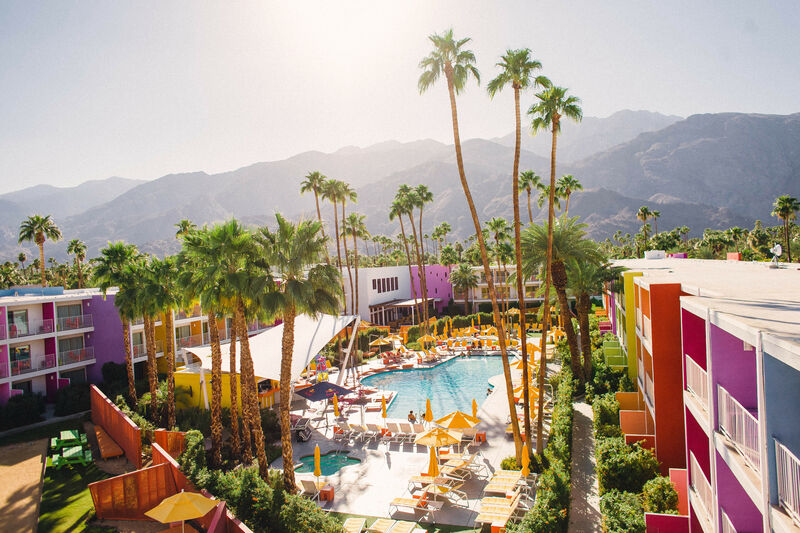 Stay at Basecamp (rooms from $169/night), a grungy-chic boutique hotel that serves up saisons and IPAs from local Alibi Ale Works. 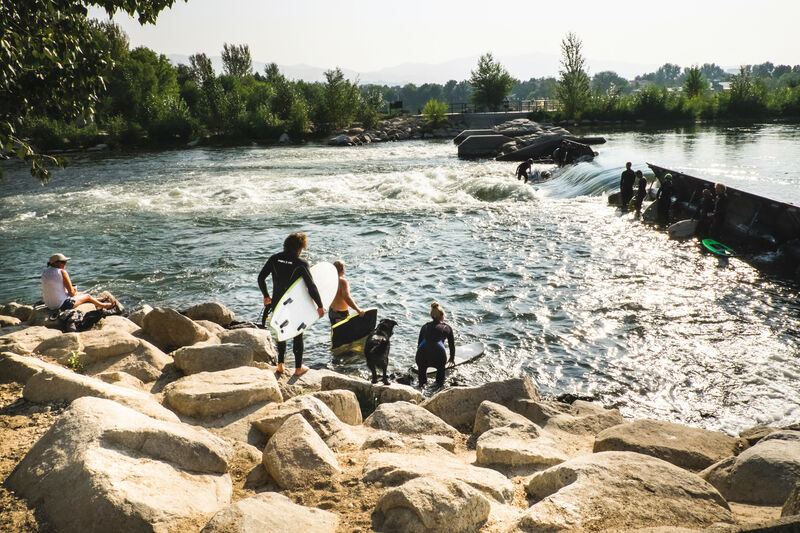 But Tahoe trips are about the great outdoors; start with a 1.25-mile scramble to Lake Tahoe’s turquoise edge from the Chimney Beach trailhead. Also make time to hike or snowshoe the 0.7 miles to Eagle Rock for expansive lake views, or—to let you in on a local secret—a saunter through Page Meadows. Direct round-trip February flights from PDX to Reno start around $200 on Alaska.